Does Richard Branson personify the ideal style of the man in the 60s? He is, after all, 62 years old. Love him or hate him, you can’t usually ignore him which is what fashion is all about at some level. Not everyone of course can be like him. However, this post isn’t about Richard Branson. It is about men and women and their interest in fashion. And why the younger generation care. But it’s worth remembering that, notwithstanding their aging, the boomers are still the generation that gave us the famous boardroom credo “Nobody wants to see old people on TV/in the movies/in advertisements.” … So it’s not the new old who are driving this fascination. It’s the young. Scratch the surface of youth culture, and a kind of Eldertopia is revealed, a pro-aged paradise lovingly promoted by people who are themselves not even close to middle-aged. For whatever reason, the younger generation and the youth culture, or at least a smaller sub-culture, is fascinated with old age and older fashion. Whether this is out of genuine interest or a way to conceal and hide the fact that we all get “old and different” is up for debate. However, this cultural revolution does bring us some very interesting fashion tidbits. It is an interesting combination of both men and women. 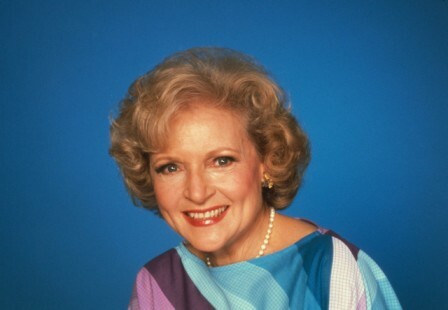 While the men are seen more ‘macho’ like Branson above, women are seen as more ‘classy’ as Betty White below. Of course such gender differences shouldn’t come as a surprise, and of course you have elegant men and raunchier women but the part of the subculture seems to have a preference already. The cultural values of the younger generation also, to a great extent, revolve around themselves. When they are interested in the older women or men fashion, they still want to see a part of themselves, a part of their culture reflected. This is why concepts and images that include a combination of older women with younger men or younger men with older women are so popular. Think of Ryan Gosling with his mom, for instance. Now wouldn’t that be a weird combination for the boomer generation to appreciate! What are your thoughts on older women and men fashion? Dolce and Gabana are officially billionaires. This news comes on the heels of Amancio Ortega, the owner of Zara, becoming richer than Warren Buffett and thus the third richest person in the world. The Milan based billionaires now join the elite list of 10 figure net worth individuals. Their fortunes seem to rise, just like Zara, as the economy improves and more and more people are becoming increasingly fashion conscious. May be the internet is partly responsible for making fashion trends and therefore select fashion retailers more trendy or desirable. It seems that in the years ahead, we’ll see a lot of winners and a few losers. As the market expands, companies can get increasingly competitive. Fashion retailers that will survive would be the ones who can quickly adapt to the new competitive scenarios and make sure their trends and statements are heard by the world. Marketing, for example, needs to take on a completely new and different direction (Zara rarely advertises even now). They also need to understand the changing needs of the fashion consumers. What are your thoughts on this news? Nissan Teams up with a Fashion Mag! Everyone in the fashion world knows the magazine ELLE and everyone has probably heard of Nissan, the car maker. What do they have in common? Nothing really, except they are coming out with a partnership! You read that right, Nissan is teaming up with ELLE to come up with Nisan Micra ELLE. Whether this is a smart move or a dumb move, only time will tell. This is really interesting, nonetheless. Nissan isn’t Ferrari and definitely has to define and carve out a brand and a nice for itself, and teaming up with one of the most popular fashion magazines just might do it. On the surface, Nissan and ELLE would target a similar kind of a person. Would also be interesting how certain dealers feel about it, like S. Florida’s Pompano Nissan dealer. Whatever the marketing material says, I for one am interested to see how this evolves, because it means that bigger and bigger brands that seemingly have nothing to do with fashion are seeing its utility. Fashion isn’t just about clothes or makeup, it is about a psyche. Brands are beginning to realize that what’s most important to their customers is the story they tell, and by associating with well known fashion entities, they can reinforce a belief about their product that traditional marketing just cannot. By the way, the partnership is serious – you’ll see ELLE all over, from the tailgate to the floor mats. It shows that Nissan is serious about branding itself to its target audience as something affordable that will change their life for the good through trusted company. Of course the partnership can be seen to be two ways – ELLE should also benefit by being seen to be associated with Nissan. It is free publicity after all, as more of these cars populate our streets. It will also improve awareness of the brand among people who are not particularly fashion enthusiasts but would be curious now. I think it is a smart move for ELLE as well, because they can now tap into a demographic that was closed for them before – an interested urban readership that doesn’t care so much about reading fashion magazines but definitely their cars. How do you think this will pan out for Nissan? Do you think it will make a difference for ELLE and its image as well? Vogue’s Anna Wintour and Ford senior designer Anthony Prozzi celebrate Fashion’s Night Out at Ford Fusion’s Eco-Design Pop-up. All New Yorkers know the annual ritual called Fashion’s Night Out where you can try to score some great deals on your favorite brands and all shops. From the biggest chains and luxury department stores in Midtown to the mom and pop boutiques in SoHo, everyone is trying to attract shoppers and customers for a lifetime. Along with all the regular brands, there are some unique events that stand out. Ford Fusion is one of them. It doesn’t typically belong with the fashion crowd, but if you think about it, a car is definitely in the same theme as fashion – something that defines your styles and preferences. It is a smart move by Ford as they try to gain access to the fashion conscious crowd of New York and want to make their products look ‘chic’ to the crowds. This year, the Ford Fusion fashion’s night out was at the Gansevoort hotel in the Meatpacking District. The meatpacking district of course is well known for its high-end clubs and fashionistas. Ford was smart to have this right in the middle of where things happen. Quite a few fashion bloggers were invited to the event as well. Even smaller cities have been catching on, like Charlotte’s top Ford dealer, Tindol Ford. Of course the event was a fashion event because it is fashion’s night out after all. They did it quite well too – for instance, to portray their eco-friendly cars and manufacturing, at the fashion event, they got out the collection of Eco Designers such as Organic by John Patrick. As fashion becomes more and more mainstream, I see more and more brands that are not directly associated with fashion to jump on the bandwagon. Cars are not what come to mind when you think of fashion, but if you really think about it, they can serve similar purposes. It makes sense for a car company to use an event like the fashion’s night out to implant perceptions. What do you think? The New York Fashion week has begun, and countless new styles are on display. Yes folks, that also means the summer is over so look for an overhaul of your wardrobe. The New York Times fashion section has a great overview of what to expect and what is to come, what’s bold, what’s hot and what’s trendy. Thoughts?